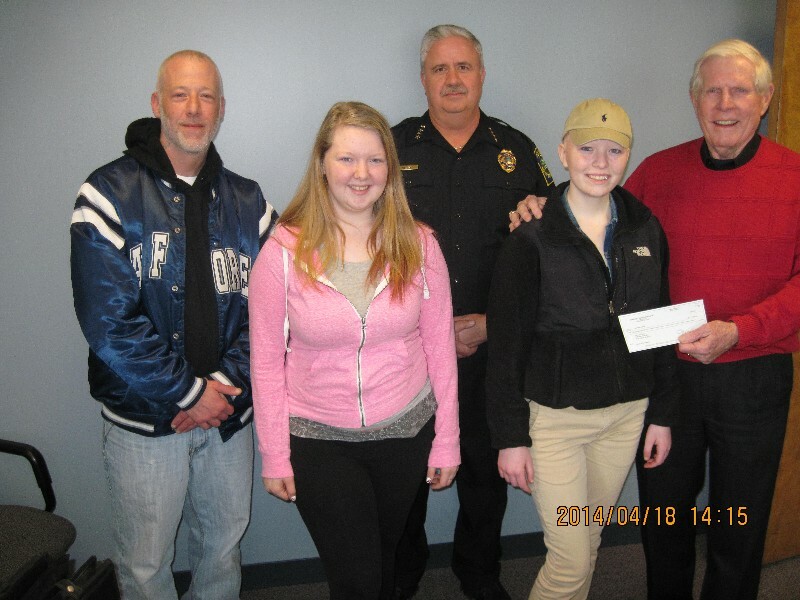 On Friday, April 18, 2014, Cops For Kids With Cancer went to the West Bridgewater Police Dept. and made a $5,000.00 donation to the family of Erin Harkin, a 17 year old girl from West Bridgewater, who has Ewing Sarcoma. In photo left to right.father Lawrence, Erin’s girlfriend Laura, Chief Donald Clark, Erin and Bob Faherty.